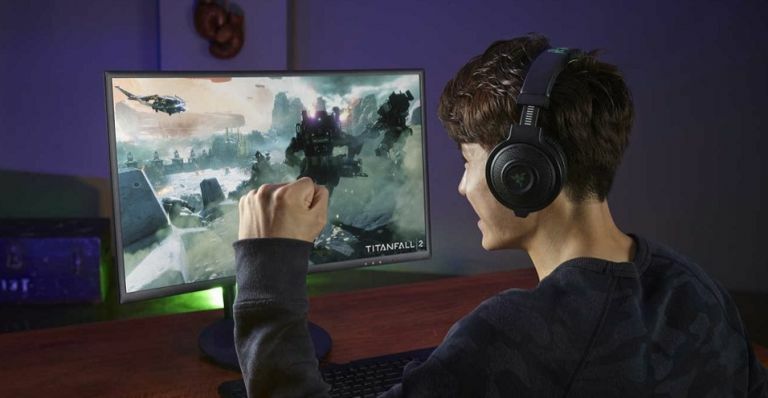 Earlier in the year, Samsung announced a trio of high-end curved gaming monitors that brings its quantum dot technology and it's now revealed all three - including the powerful new CH711 - will be coming to CES 2017. The monitor, which will come in both 27 and 31.5-inch models, will boast 2,560 x 1,440 resolution and an impressive 1,800R curvature - that curved aspect brings a whopping 178-degree viewing angle and 125% of sRGB coverage. It can even be switched between horizontal and vertical positions (should you need to use a curved screen vertically). "Today’s multimedia consumers, quite rightly, have high expectations and demand a truly cutting edge, totally immersive experience that realizes the full potential of whatever they are playing or watching," comments Seoggi Kim, senior vice president of Samsung Electronics’ Visual Display Business. He adds: "This year’s line-up of curved Quantum Dot monitors offers brilliant design, richer color and deeper contrast than ever before. We can’t wait to share them with the world at CES 2017 in Las Vegas." CES 2017 kicks off on 5 January, 2017 and T3 will be covering all the biggest tech and reveals from Las Vegas.